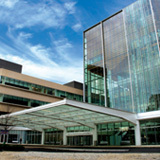 Dr. Giri is employed by Penn Medicine. Hyman Matthew C, Vemulapalli Sreekanth, Szeto Wilson Y, Stebbins Amanda, Patel Prakash A, Matsouaka Roland A, Herrmann Howard C, Anwaruddin Saif, Kobayashi Taisei, Desai Nimesh D, Vallabhajosyula Prashanth, McCarthy Fenton H, Li Robert, Bavaria Joseph E, Giri Jay: Conscious Sedation Versus General Anesthesia for Transcatheter Aortic Valve Replacement: Insights from the National Cardiovascular Data Registry Society of Thoracic Surgeons/American College of Cardiology Transcatheter Valve Therapy Registry. Circulation 136 (22): 2132-2140,2017. Kobayashi Taisei, Glorioso Thomas J, Armstrong Ehrin J, Maddox Thomas M, Plomondon Mary E, Grunwald Gary K, Bradley Steven M, Tsai Thomas T, Waldo Stephen W, Rao Sunil V, Banerjee Subhash, Nallamothu Brahmajee K, Bhatt Deepak L, Rene A Garvey, Wilensky Robert L, Groeneveld Peter W, Giri Jay: Comparative Outcomes After Percutaneous Coronary Intervention Among Black and White Patients Treated at US Veterans Affairs Hospitals. JAMA cardiology 2 (9): 967-975,2017. Sardar Partha, Chatterjee Saurav, Aronow Herbert D, Kundu Amartya, Ramchand Preethi, Mukherjee Debabrata, Nairooz Ramez, Gray William A, White Christopher J, Jaff Michael R, Rosenfield Kenneth, Giri Jay: Carotid Artery Stenting Versus Endarterectomy for Stroke Prevention: A Meta-Analysis of Clinical Trials. Journal of the American College of Cardiology 69 (18): 2266-2275,2017. Chatterjee Saurav, Lip Gregory Y H, Giri Jay: HAS-BLED Versus ATRIA Risk Scores for Intracranial Hemorrhage in Patients Receiving Thrombolytics for Pulmonary Embolism. Journal of the American College of Cardiology 67 (24): 2904-5,2016. Kadakia Mitul B, Rao Sunil V, McCoy Lisa, Choudhuri Paramita S, Sherwood Matthew W, Lilly Scott, Kobayashi Taisei, Kolansky Daniel M, Wilensky Robert L, Yeh Robert W, Giri Jay: Transradial Versus Transfemoral Access in Patients Undergoing Rescue Percutaneous Coronary Intervention After Fibrinolytic Therapy. JACC. Cardiovascular interventions 8 (14): 1868-76,2015. Chatterjee Saurav, Chakraborty Anasua, Weinberg Ido, Kadakia Mitul, Wilensky Robert L, Sardar Partha, Kumbhani Dharam J, Mukherjee Debabrata, Jaff Michael R, Giri Jay: Thrombolysis for pulmonary embolism and risk of all-cause mortality, major bleeding, and intracranial hemorrhage: a meta-analysis. JAMA : the journal of the American Medical Association 311 (23): 2414-21,2014. Kadakia Mitul B, Herrmann Howard C, Desai Nimesh D, Fox Zachary, Ogbara Jeffrey, Anwaruddin Saif, Jagasia Dinesh, Bavaria Joseph E, Szeto Wilson Y, Vallabhajosyula Prashanth, Li Robert, Menon Rohan, Kobrin Dale M, Giri Jay: Factors Associated With Vascular Complications in Patients Undergoing Balloon-Expandable Transfemoral Transcatheter Aortic Valve Replacement via Open Versus Percutaneous Approaches. Circulation. Cardiovascular interventions 7 (4): 570-6,2014. 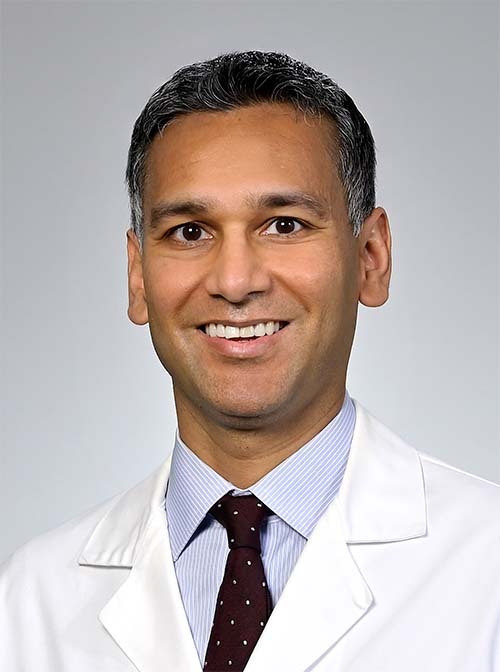 Giri Jay, Parikh Sahil A, Kennedy Kevin F, Weinberg Ido, Donaldson Cameron, Hawkins Beau M, McCormick Daniel J, Jackson Benjamin, Armstrong Ehrin J, Ramchand Preethi, White Christopher J, Jaff Michael R, Rosenfield Kenneth, Yeh Robert W: Proximal versus distal embolic protection for carotid artery stenting: a national cardiovascular data registry analysis. JACC. Cardiovascular interventions 8 (4): 609-15,2015. Giri Jay, McDermott Mary M, Greenland Philip, Guralnik Jack M, Criqui Michael H, Liu Kiang, Ferrucci Luigi, Green David, Schneider Joseph R, Tian Lu: Statin use and functional decline in patients with and without peripheral arterial disease. Journal of the American College of Cardiology 47 (5): 998-1004,2006.